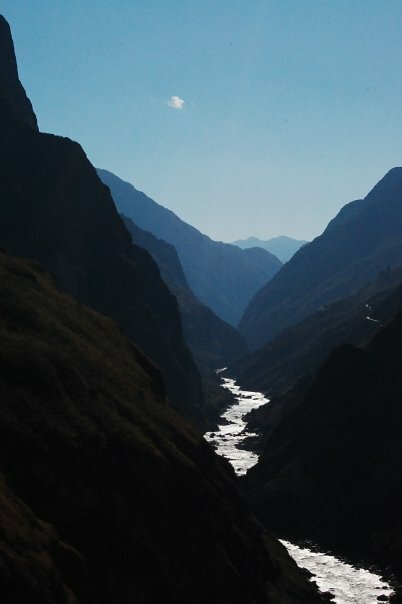 About a year ago I was thrilled to be invited to work as China Consultant at the development stage of ‘Scared Rivers’, a major 3-part BBC2 series presented by Simon Reeve. The series was eventually commissioned, and all three episodes have recently been broadcast. The Yangtze episode, with which I was most involved, can be watched here, and the whole series here. Categories: China, TV. Tags: bbc, bbc2, china, river, sacred rivers, simon reeve, yangtze. My BBC presenting debut, ‘China in Vogue’, which profiles the rise of high-end fashion in China, is now available to download (for free!) as an MP3 here. 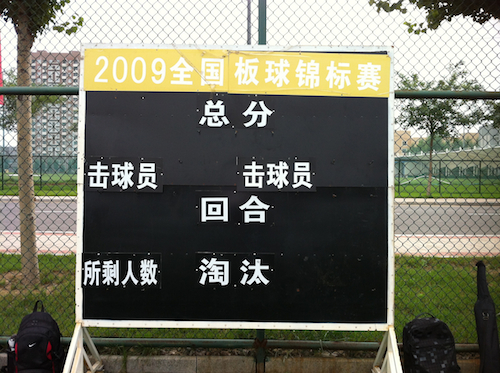 Categories: China, Radio. 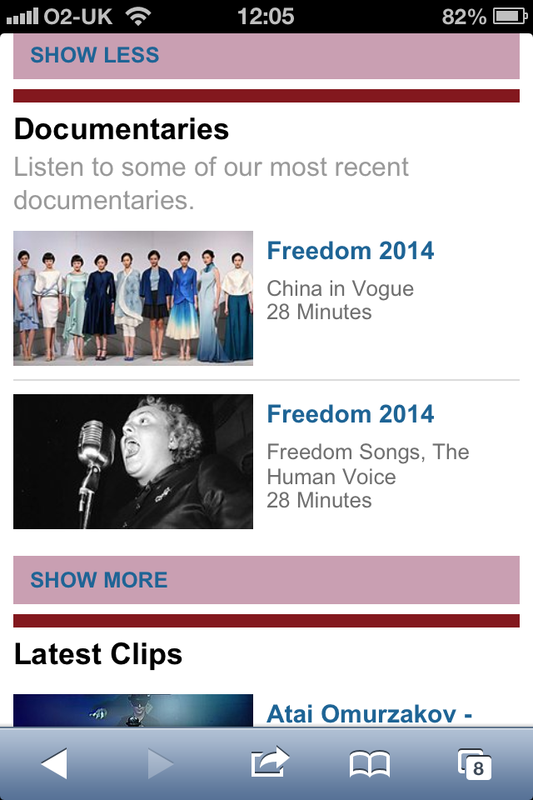 Tags: bbc, china in vogue, download, fashion, mp3, vogue, world service. Ahead of the broadcast of my presenting debut for BBC World Service, there was this lovely preview in the Guardian this Saturday. 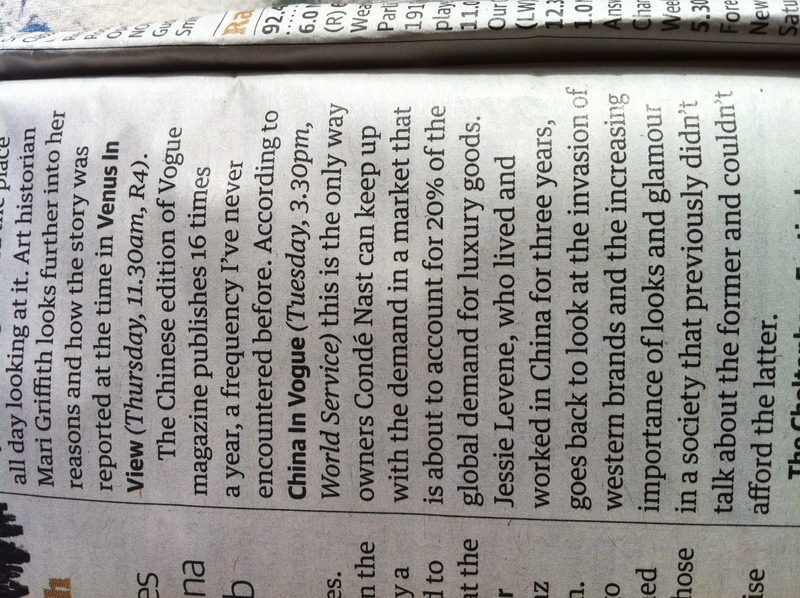 The programme profiles the rise of high-end fashion in China and is my second China-focused documentary of this year! 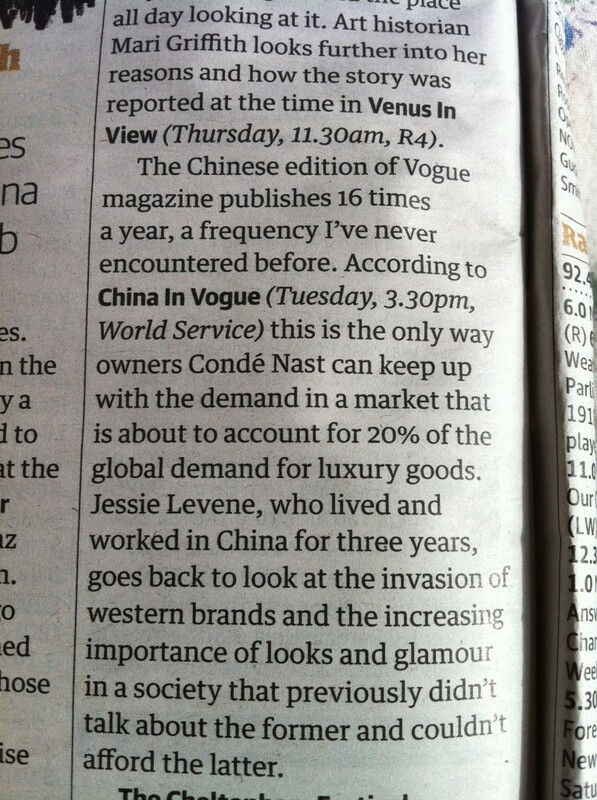 ‘China in Vogue’ will be broadcast 5 times during the course of Tuesday 11th March, and is also available to listen to here. Categories: China, Radio. Tags: bbc, china, fashion, vogue, world service. The past few months have seen me recording a flurry of tape syncs for American radio. 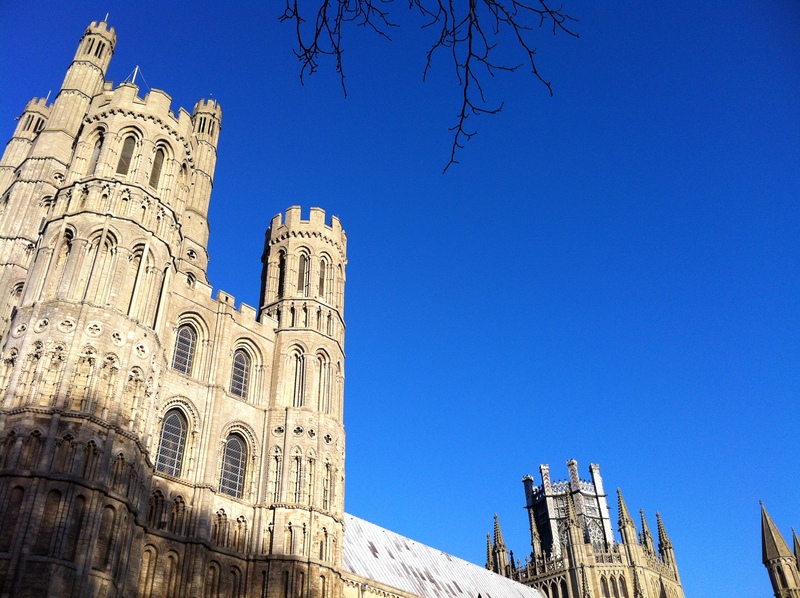 The most recent was in the Cambridgeshire town of Ely (home of the magnificent Ely Cathedral, pictured above) where I recorded an interview with Ravi Kanbur of Cornell University for Marketplace. You can hear the piece here. Before that, I recorded an interview with City University professor of psychology Martin Conway for the show Philosophy Talk. It’s not available for free but you can download the episode on iTunes. 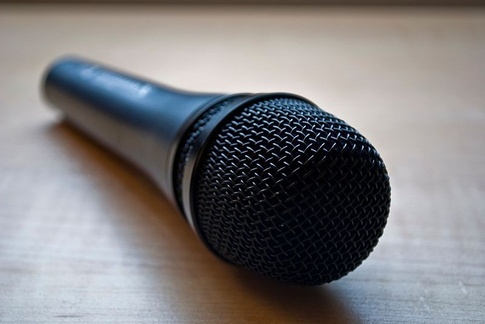 And way back in September I recorded a late-night interview with Matthew Engelke of the London School of Economics for the religion magazine show Interfaith Voices. You can hear that piece here. Categories: Interview, Radio. Tags: city university, cornell, interfaith voices, lse, marketplace, philosophy talk, tape syncs. It was with great pleasure that I sat down on Wednesday morning to listen to the broadcast of my first full-length documentary for BBC Radio 4, ‘Batting for the Middle Kingdom’. This was a programme very close to my heart – it took over a year to make, and included a trip back to my beloved China – and I’m hugely proud of the finished result. You can listen to the programme online here until Wednesday 27th November. Categories: China, Radio. Tags: bbc, bbc radio 4, china, cricket. 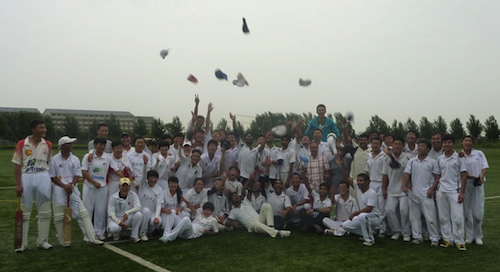 In advance of my upcoming BBC Radio 4 documentary on cricket in China, the programme’s presenter Fred Dove has written a piece for BBC Radio 4’s From Our Own Correspondent. You can hear that here (Fred’s bit starts at about 23’30”), or read the print version here. The full documentary will be broadcast on BBC Radio 4 on Wednesday 20th November 2013 at 11am. Categories: China, Interview, Radio. Tags: bbc, bbc radio 4, china, cricket, fred dove, from our own correspondent, sport. 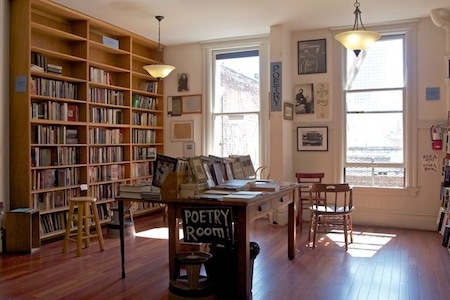 I researched and coordinated a recent BBC Radio 4 documentary about poetry in San Francisco, produced by the wonderful Laura Parfitt of White Pebble Media. It is a gorgeous programme, unfortunately no longer available to listen to online, but here’s the programme page anyway. Part two of the series, on the poetry of Los Angeles, can be heard here. Categories: Interview, Radio. Tags: bbc, bbc radio 4, documentary, laura parfitt, poetry, san francisco, white pebble media. 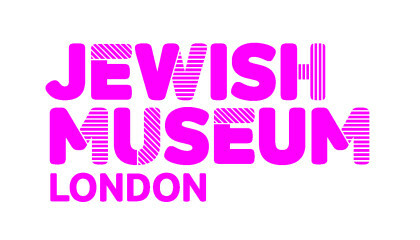 I produced a 5-minute podcast documenting the ‘Little Bookniks’ children’s literary event at the Jewish Museum in March. You can hear that, and many other recordings from the day, here. Categories: Interview, London, Radio. Tags: books, children, jcc, jewish museum, little bookniks, podcast. I produced the second edition of the Inspired by Audio Podcast, a collection of creative radio from around the world, curated by the radio collective In The Dark, with support from D&AD and RAB. My episode, ‘Inside My Head’, features stories from WNYC’s Pejk Malinovski, The Truth’s Jonathan Mitchell and RTE’s Ronan Kelly. You can hear it, right at the bottom of the page and on the right, here. Categories: London, Radio. 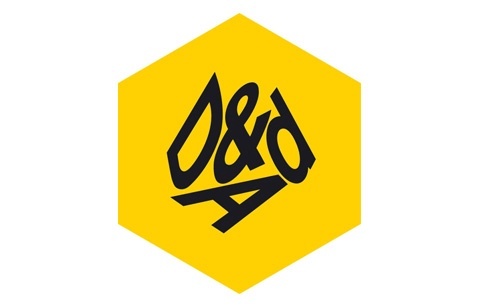 Tags: d&ad, in the dark, jonathan mitchell, pejk malinovski, podcast, RAB, ronan kelly, rte, the truth, WNYC. Over the past 6 months I’ve recorded four tape-syncs/simul-recs/double-enders/whatever-you-call-ems for two radio programmes in the US. For America’s Test Kitchen, I recorded an interview with Mrs Patmore (aka the delightful Lesley Nichol) from Downtown Abbey. The interview with Lesley starts at about 26’30” and you can hear it here. Also for America’s Test Kitchen, I travelled to Cambridge to record an interview with food writer and Sunday Telegraph columnist Bee Wilson. The interview with Bee begins at about 20’05” and you can hear it here. And for WUNC’s The Story, I recorded an interview with David Cundall, the British farmer digging for WWII planes in Burma. You can hear that story here. Also for The Story, I recorded an interview with the writer and campaigner Victoria Brittain, about her book ‘Shadow Lives’. You can hear that interview here. Categories: Interview, London, Radio. Tags: america's test kitchen, interviews, tape syncs, writers, wunc.